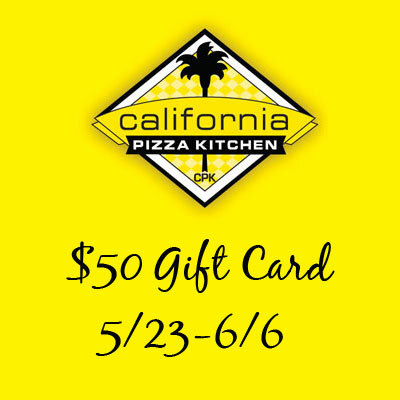 A Sampling Bee: Enter to win a $50 California Pizza Kitchen Gift Card! Black olives are my favorite pizza topping! I know the song says "You gotta have friends..." but I think on pizza you must have pepperoni. If there can be only one topping, this is it for me! Cheese is my fave topping!